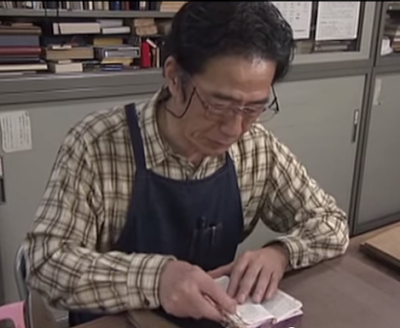 Thanks to blog subscriber Susanna from the UK for the alert on this Colossal: Art, Design, and Visual Culture post about the conservation work of Nobuo Okano in Japan. 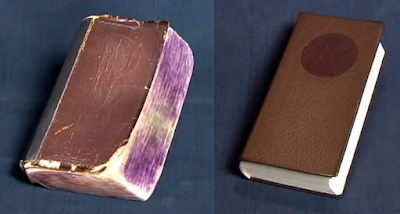 "For the past 33 years Japanese craftsman Okano Nobuo has been repairing tattered books and reconstituting them to look brand new. 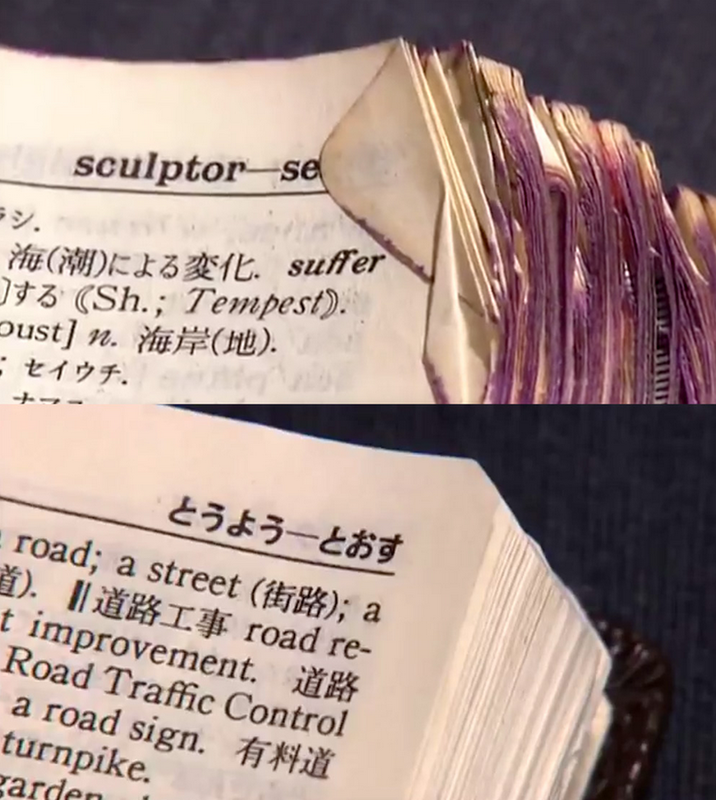 When a customer brought in an old Japanese-English dictionary that looked like it had been through a few wars, Okano approached it like an art conservationist repairing a painting. Using very basic tools like a wooden press, chisel, water and glue, Okano reconstituted the book to make it look like it was just purchased." The video is in Japanese but there is much to see and learn without understanding the words.